Deforestation is ongoing all over the world. 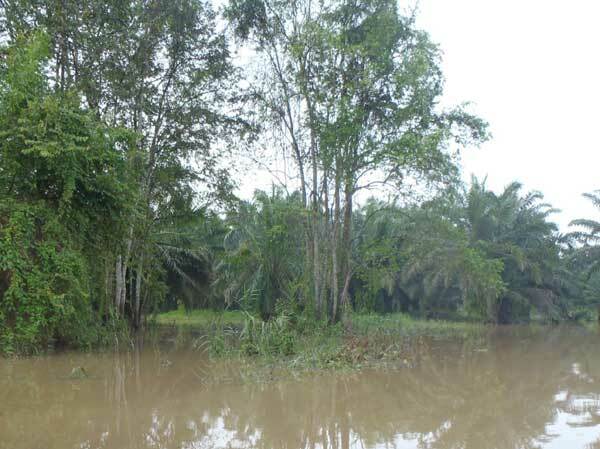 The purposes of this trip are (1) to promote greater understanding on the tropical ecosystem and environmental problems there, by observing the deforestation and a variety of rainforests in Borneo, and (2) to know the lives of researchers in Borneo by visiting them. In Sepilok, we visited Orangutan Rehabilitation Center (ORC) and Rainforest Discovery Center (RDC). In ORC, we observed provisioning of rehabilitant orangutans, long-tailed macaques and pig-tailed macaques. Long-tailed macaques stayed near pig-tailed macaques and their relationship did not seem to be antagonistic. We observed an orangutan regurgitating to a leaf, which is not recorded among wild orangutans. In RDC, we observed many kind of wildlife in rainforest. Oil palm plantations covered the land as far as we could see from Sepilok to Sukau. I could know that conversion of deforested area to plantation was ongoing. 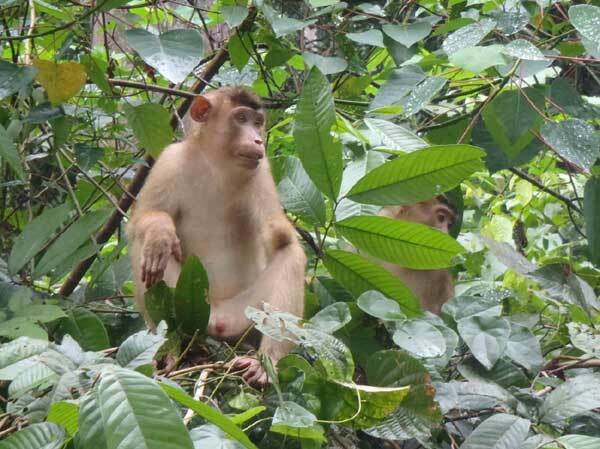 In Sukau, we observed proboscis monkeys and many kind of wildlife. We saw plantations were expanding near the rainforest. Talking with the researcher studying there, I thought that researchers doing fieldwork in aboard face various problems other than science. In the Danum Valley Conservation Area, we could observe an orangutan making nest and gibbons moving in the canopy. We talked with and learned the life of researchers in Kuala Sungai Research Station. Finally, we visited University Malaysia Sabah, and observed specimen room and experiment equipments and so on. I felt the cooperation among researchers is important. I am sure that this experience of observing wildlife in rainforest and institution helps to choose my course in the future.